Staked Turbidity Barriers are an essential best management practice on job sites because they serve an important purpose: protecting surrounding environments from contaminated stormwater runoff. 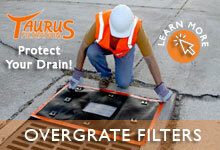 Stormwater accumulates and causes flooding, collects sediment and debris, gathers force and erodes land in its path. 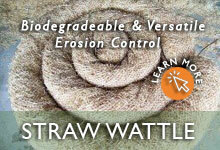 The buildup is then dumped into nearby lakes, streams, and other watersheds, resulting in water pollution. Project sites, which disturb the soil during the construction process, are especially vulnerable to this rapid, aggressive sheet flow. That is why stormwater management measures have been put in place by government agencies such as the Environmental Protection Agency (EPA) and the Department of Transportation (DOT). 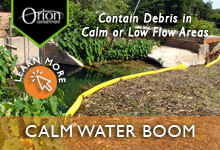 These organizations offer guidelines to help minimize the effects of the stormwater flow. 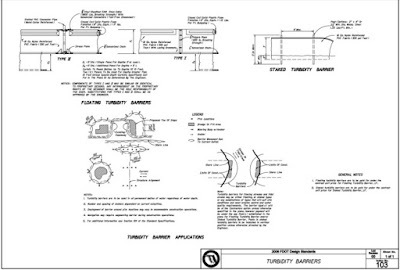 FDOT Design Standards for TurbidityBarriers, an example of guidelines from a government agency. 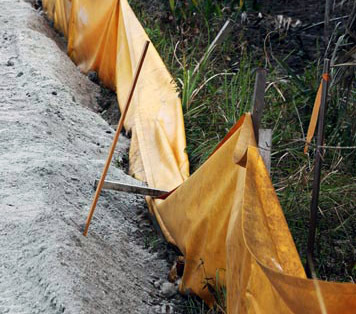 Construction sites use many best management practice (BMPs) products and solutions as part of their Stormwater Pollution Prevention Plans (SWPPP). 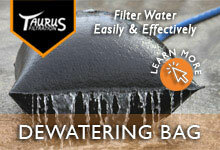 One of the most common types is staked turbidity barriers. There are two versions of the staked barrier. The first is the black-staked silt fence, which is made of permeable geotextile fabric that filters the stormwater, allowing water to pass through as it collects sediment. The second is the yellow-staked turbidity barrier, made from impermeable PVC that also collects sediment, but then redirects sheetflow or standing water instead of filtering it. 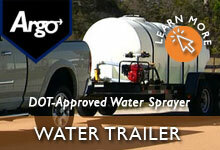 Both are useful for certain applications, and depending on climate, are often used in conjunction with each other. 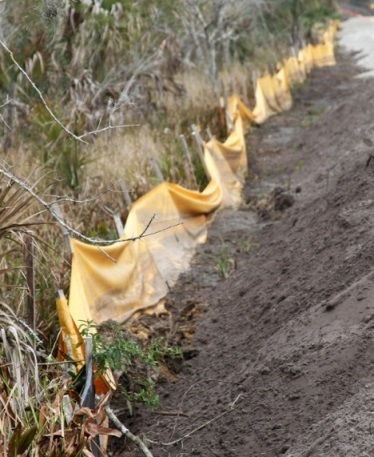 For sites looking to redirect water flow to avoid contamination, yellow PVC staked turbidity barrier is the GEI Works solution. 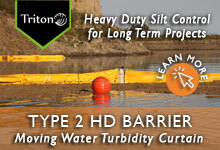 Why Use the Yellow Staked Turbidity Barrier? 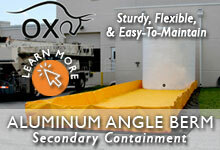 These advantages are magnified by correct installation, or negated by improper installation. 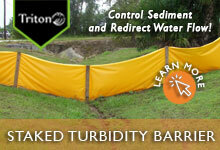 A poorly-installed staked turbidity barrier system is the number one reason they fail. In order to know what to do, you have to know what not to do. So what exactly causes the barriers to fail? Several factors are responsible. Take heed and do them well and you increase the chances for a successful and properly-managed site protected against stormwater runoff. Ignore or do them hastily and the curtains will not perform as intended, leaving your site open to failed inspections, fines, and environmental implications. The barriers are a deceptively simple concept. 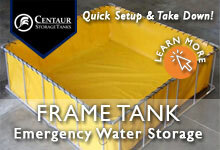 However, there are several ways they are improperly installed on construction sites. Incorrect Placement. Fencing should not just be put up randomly or whichever way is most convenient. It must be well thought through ahead of time. 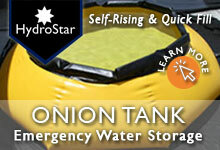 To understand placing, it helps to understand the flow and absorption of water at the site. Stormwater runoff takes the path of least resistance, so the lowest part of the fence will get the most water flow and accumulated sediment buildup, especially with saturated or poorly draining soil types. Each site has unique contours that affect how sheet flow will respond to a storm or rainfall event. Identifying these contours and how water interacts with the topography can determine the site conditions and needs. When these factors are not taken into account, the stormwater will pool in the wrong area or at too great of a concentration, overwhelming and putting a strain on the fence. For instance, long, straight runs of fencing are not recommended because the flow is not being managed. Curving fence into a “J” shaped hook on the lower end is more effective because it controls where the water will go, and provides increased settling time. Inadequate Amount and Choice of Materials. Saving money on the front end by skimping on fencing length or proper stakes can cost much more in the long term. The proper amount of material is 100 feet of silt fence per 10,000 square foot of disturbed area, with no run of fencing more than 200 feet before setting up a new fence. 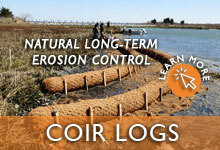 Sometimes more than one staked barrier system is required for areas with more intense flooding and sediment buildup. More fencing is needed when the barrier is overwhelmed after a rainfall. Water should not overflow the top of the fence. In some areas, dual parallel staked fence systems with several feet of natural vegetation between them may be required. 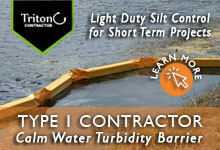 Proper quality materials make a difference in the success of a turbidity barrier. 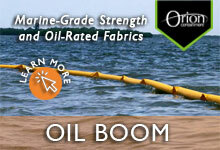 GEI Works’ Triton-Staked Turbidity Barrier is made of marine-grade 350 lbs. high strength PVC material. It is available in 13 oz., 18 oz., and 22 oz. weights. The stronger the material, the less likely it is to tear, making the 22 oz. 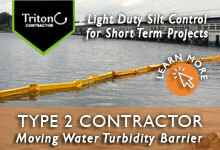 turbidity barrier a strong and resilient option from GEI Works. Many state DOT guidelines recommend using at least an 18 oz. fabric.. The second part of the barrier system is the stakes. Wood stakes or steel stakes are acceptable, although steel stakes are recommended by the EPA. The stakes should be driven at least 2 feet into the ground and 4-5 feet apart to ensure they stay upright and steady. Improper Prep. Proper trenching is one of the most important steps in installing staked barriers. Trenching reinforces the strength of the material and ensures the waterflow and sediment doesn’t discharge beneath the barrier system. The trench should be dug 8 inches deep. Then the PVC curtain and stakes should be placed into the trench, backfilling the bottom 8 inches of the barrier, while ensuring that there are no gaps. 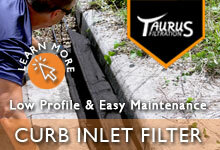 Trenching creates a seal, strengthening the system as a whole and making it more impermeable as well. 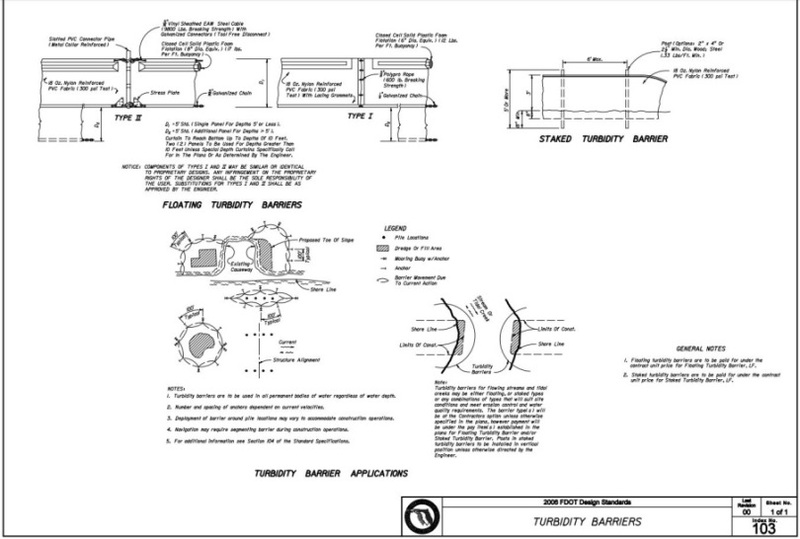 “Set It and Forget It” The turbidity barrier system is not designed to be set up and then ignored. Regular inspections, especially after a bad storm or rain event, can help to spot issues before they develop into a bigger and more costly problem. Even one broken or fallen area of fencing can make the whole section ineffective and cause it to fail. Sediment deposits that have gathered along the fence should be removed when they have reached half of the fence’s height. It is not uncommon for the barriers to be damaged during construction work by workers or machinery. 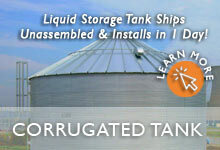 Damaged sections should be fixed immediately before the entire system needs to be replaced. Backfilled and compacted with soil along the fence with no gaps, to reinforce the strength of the fence system. 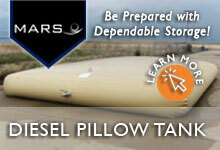 Maintained regularly and repaired or replaced as needed. 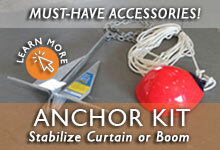 By incorporating these tips, projects can stay ahead of any potential obstacles on the job site. A well-maintained site that has a properly planned and implemented system is better for all by keeping runoff from negatively affecting other areas off site such as protected wetlands, water bodies and other natural resources. For more information on GEI Works’ Staked Turbidity Barriers for sale, read our flyer or contact our GEI Works product specialists by calling 772-646-0597 or requesting a quote.